Looking for extra ways to grab consumer attention and showcase your company with your Bing ads? In April of this year Bing released two new extensions: Review Extensions and Callout Extensions. If these extensions sound familiar to you it is because you may already be using them in your AdWords account. Review Extensions allow you to highlight positive reviews your company has received from trusted 3rd party sources. These are a great way to show potential customers how your company outshines the competition. This extension allows one of your positive reviews to show at a time alongside your other extensions. This extension source can be clicked but it will link to the 3rd party website at no charge to you. 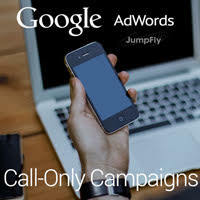 Add an extra line of text to your ads using Callout Extensions. Callout Extensions allow you to showcase even more details about the products or services that your company offers. These will also run in conjunction with your already existing extensions but are not clickable. A maximum of 4 callouts can show at one time. Coming sometime this summer is another exciting Bing addition is the ability to create labels. If you have ever used labels in AdWords you already know how incredibly useful they can be. You can label converting keywords, automate certain items to turn on or off at a specific date or time, filter results based on labels and even easily differentiate holiday ads you’ve created just to name a few of their uses. 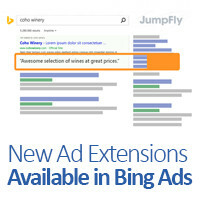 These extensions are just some of what Bing offers to enhance Bing Ads, and that JumpFly uses for their clients. 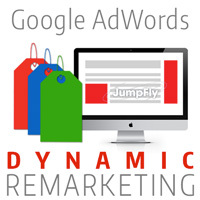 Do you love your current Google AdWords remarketing campaign, but are looking for a new way to grab consumers’ attention? Now with dynamic remarketing ads and proper PPC management you can deliver tailored ads to each consumer who has visited your site. Ads can show a variety of different products that are in your merchant feed based on the actions consumers took when visiting your site. 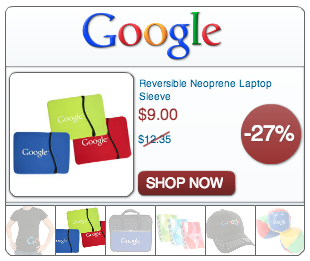 General visitors to your site will be shown the most popular products on your site. People who viewed specific products will be shown the products that they viewed in addition to recommended products. People who abandoned the shopping cart will be shown the items they added to cart. They will also be shown recommended products and other items they viewed. Purchasers will be shown your most popular products and items that generally get purchased together. You can read more about how Google determines what products to show in your dynamic ads here. There a few things you’ll need to do before you can create your campaign (while they can be time-consuming to setup, the good thing is you shouldn’t have to go through these steps again). You’ll first need to create a Google Merchant feed following a specific format and including things like price, title, description, image URLs and some other attributes. Next you will add a dynamic remarketing tag to each page of the website, which ties the webpage back to specific page type, category or product in your feed. Once those steps are completed, you’ll create your campaign and ads.